If I had to pick a side in the descriptivist/prescriptivist non-war, I’d say I’m on the describers’ side. It’s not that I don’t like writing to vigilantly follow that follows the rules vigilantly – I do, in the same way I like to follow traffic light rules. Running reds isn’t good for anyone. And being in the business of encouraging wayward texts back to their original purpose means applying a little bit of ‘thou shalt’ and ‘thou shalt not’ to most things I see. But unlike traffic light systems, writing has infinite capacity for subtle expression. The rules of writing should be understood and then applied with varying degrees of pressure, so that the ideas of a text are revealed rather than suffocated. Enter: do not split infinitives. This is one of those rules where people who were taught it believe it inviolable. While grammarians have long said there’s no requirement for this rule in English (see comparison with Latin, below), there are some good reasons to carefully split to be careful when splitting your infinitives. Infinitive here contrasts with finite verbs, which do change according to who and how many people/things are the subject of the verb. Compare ‘I do not agree’ with ‘he does not agree’, where the verb ‘do’ changes depending on the person, but the verb ‘agree’ stays the same no matter who or how many people are not agreeing. A split infinitive is what happens when you split the word ‘to’ away from its verb by putting an adverb between them. 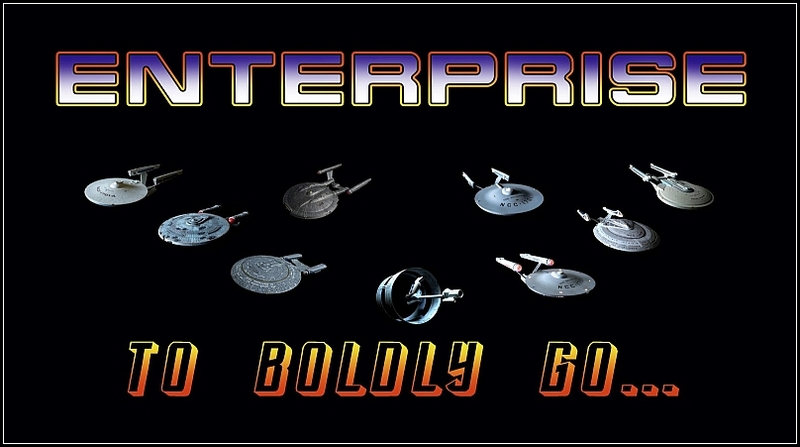 The most famous example is Star Trek’s ‘to boldly go’. Fowler (1926) divides the world into five classes of people, defined by what they know and what they do about split infinitives. One of his classes is made of the people who condemn the split infinitive without fully understanding it; these ‘bogy-haunted creatures’ think ‘to be really understood’ is a split infinitive (it’s not, because the verb ‘to be’ has not been split; ‘understood’ is the complement of the verb). Less colourfully, the modern edition of Fowler describes the history of the split infinitive, saying that despite the earliest examples of it dating from the thirteenth century, some writers remain so reluctant to use it that they contort their sentences into painful ambiguity to avoid it. This edition says that while adverbs are most commonly placed before the full infinitive, examples abound of where they can be used to split infinitives to improve clarity for the reader or for stylistic reasons. Strunk & White suggest avoiding split infinitives unless you want to unusually stress to put unusual stress on the adverb. But they also say that ‘the split infinitive is another trick of rhetoric in which the ear must be quicker than the handbook’, because some phrases that follow this rule to the letter just sound awkward: ‘I cannot bring myself really to like her’ would be better written in the form ‘I cannot bring myself to really like her’. The Australian Style manual explains that objections to split infinitives were to do with trying to make English follow Latin, where the infinitives are single words, for example ‘amare’, that cannot be split. Grammar Girl says the English-emulating-Latin argument is frequently given, but that one of the first times the rule appeared in print was when Henry Alford, in his 1864 book The Queen’s English, said we should not split infinitives because it went against common usage. He was answering a correspondent who said that he split infinitives by putting adverbs between the ‘to’ and the verb, to which Alford said – ignoring all the evidence before him – that this practice was ‘entirely unknown to English speakers and writers’. Anyway, Alford’s argument made its way into education and stayed there, even though people starting arguing with him about it at the time, and Fowler’s ‘bogy-haunted creatures’ pronouncement came in 1926. You may have guessed that my position on the split infinitive is to freely split it with grammatical impunity. I’m very against the ‘thou shalt not’ argument in this instance. However, there are reasons to be careful with your infinitives. One thing to watch out for is that you don’t irritate a reader by putting a lot of information between the ‘to’ and its verb: ‘We want to through the bathroom window and with the utmost silence sneak into the house.’ A better construction would be ‘We want to sneak into the house through the bathroom window and with the utmost silence’. Infinitive intact. ‘I have decided promptly to address the issue you mention’ – this is ambiguous, as it’s unclear if ‘prompt’ goes with ‘have decided’ or with ‘to address’. ‘I have decided to promptly address the issue you mention’ – this contains a split infinitive, but now it means that the issue will be addressed promptly, which is probably the intended meaning. ‘I have decided to address promptly the issue you mention’ – this is awkward, and an example of bogy-haunting (I’m going to squeeze in one more of those, just watch). ‘I have decided to address the issue you mention promptly’ – this is again ambiguous: ‘promptly’ is sticking to the nearest verb, ‘mention’, although it could also be modifying the whole phrase ‘to address the issue you mention’. Alford H. 1864. The Queen’s English: Stray Notes on Speaking and Spelling. Strahan & Co. London. Birchfield RW. 2000. Fowler’s Modern English Usage. Revised 3rd Edition. Oxford University Press. Oxford. Grammar Girl. 2010. Split infinitives. http://www.quickanddirtytips.com/education/grammar/split-infinitives?page=all.